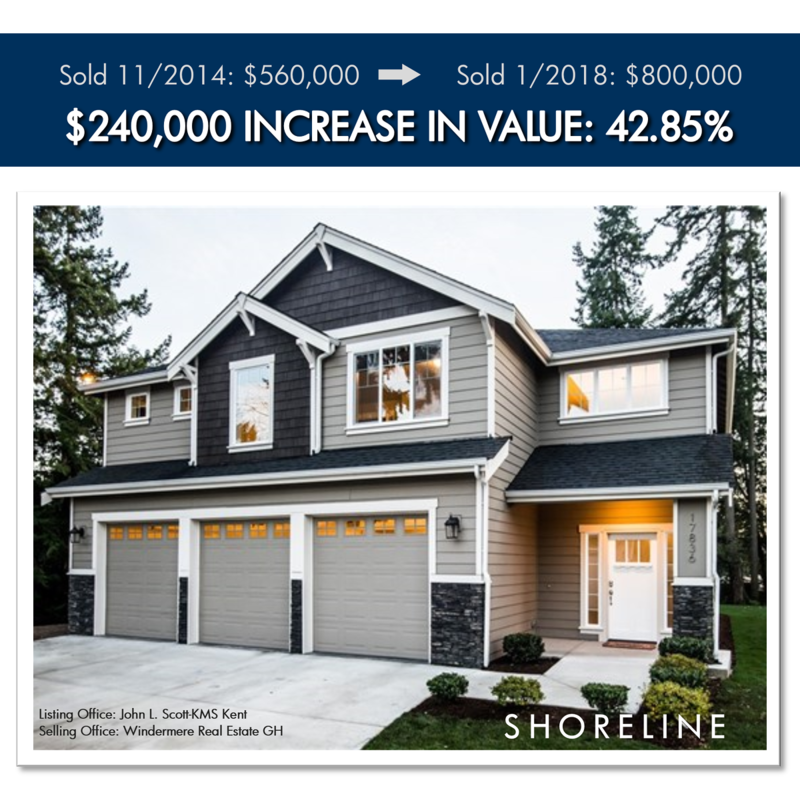 We pulled this example to show you actual pound for pound appreciation in north King County . We think this example, and others we pulled for different neighborhoods are pretty telling and quite exciting! Today’s home values provide the opportunity for sellers to make big moves involving their retirement, upgrading homes, investing or even buying a second home. If you are one of those people, I hope this example provides insight on the increase in home values and how they might pertain to you. As we head into the active spring and summer months, if you would like a complimentary Comparable Market Analysis (CMA) on your home, so you have a better understanding of your home’s value, we would be happy to do that. It is our goal to help keep our clients informed to empower strong decisions.